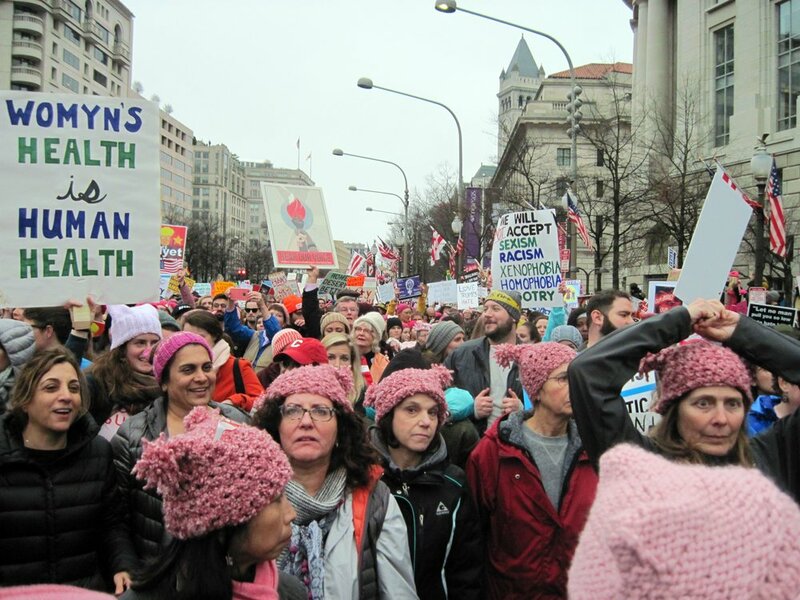 By Lori Brown, co-founder, ArchiteXX On the metro heading towards the Women’s March in DC that Saturday morning, the energy and excitement was undeniable; there was a shared vitality and enthusiasm. Walking past the United States Capitol Building, I was overwhelmed by the vast number of people, thousands walking towards the National Mall, who were all arriving to be heard. There was a sea of pink as people converged toward the Mall. The fact that three times the number of expected marchers showed up is testimony to the level of dissatisfaction and need to publically demonstrate our collective frustrations. Now that I am back home, I have been processing this experience shared by over half a million people in DC and millions worldwide. That so many people collectively participated speaks volumes. Now the question is what to do. How do we channel all this energy and collective engagement toward actions that will make change? We cannot just wait for things to happen but must take responsibility to ensure they do. ArchiteXX’s mission bridges the academy and practice. We work to create opportunities to raise awareness of women in the discipline and diversify all levels of the profession so that architecture can become more reflective and responsive to society. ArchiteXX hosts monthly social gatherings, a reading group, a writing group, workshops, design actions that uses our expertise to engage social and political issues, and we host “university hubs” where we work with architecture schools across New York state to raise awareness among students about women’s contributions to the discipline. There are many opportunities to become more engaged. This year’s university hubs and reading group theme is Race + Identity: Complex Relationships Between the Social and the Spatial. In asking that our discipline become a more responsive and collaborative practice, there is much to learn from our engagement with systems of power and their impacts on race. How do race and identity shape our understanding and experiences of space? What can the discipline learn from and contribute to the current conversations taking place across the country? What sort of future do we want to help foster and create? We are in the process of determining our second design action which will respond to an issue specific to our current political climate. Please come join us in the opportunity for collective voices and actions on issues important to our future.